This week we published a bust of the Spanish Mariano Benlliure, the last master of nineteenth-century realist sculpture in Spain. 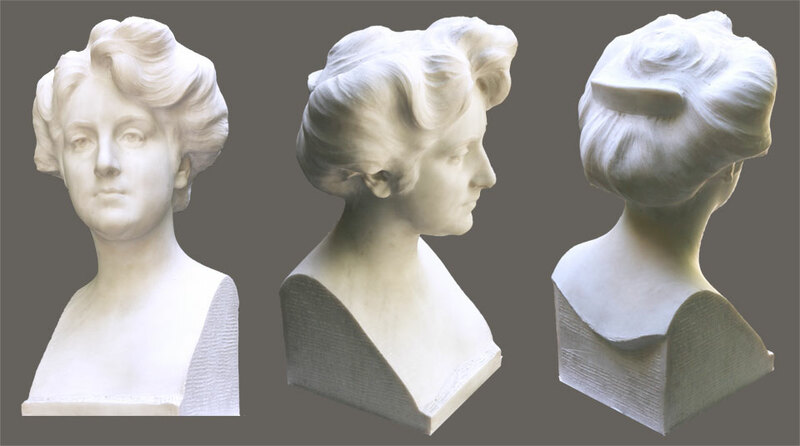 The bust portrays a lady of the Spanish high society of 1909, when it was portrayed in this marble of 19.5 x 23 cm base and 48 in height. Benlliure begins at an early age, works tirelessly leaving an extensive legacy. His success came soon, winning contests of civil monuments, with orders from the Royal House and also with funerary monuments. Highlights include the monument to Emilio Castelar, the monument to General Martinez Campos, the bust of Goya or the sculptural ensemble of the Metropolis Building on Calle de Alcalá. 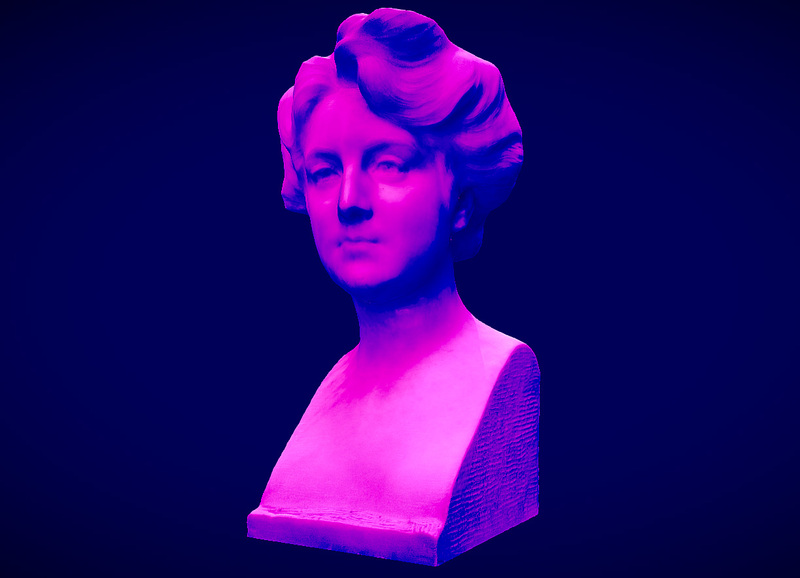 The scan of this bust was made from 44 photographs. For further optimization we have tested a new software, “Meshlab”, for the model retopology. Process in which we reduce the detailed model of the scan to one optimized to see online or in our Virtual Museum. This new software we have tested after listening to the lecture “Star Wars: Battlefront and the Art of Photogrammetry” at GDC 2016. Recognized high quality graphics game where photogrammetry has been the key differentiator to reach new levels of visual realism. The result can be seen here, in the Sketchfab viewer, by pressing the "5" key, where the mesh of this model is activated. If you compare this mesh with the latest models, you will see that it is not an orderly structure, which has many advantages in animation, but a chaotic triangulation where high quality is achieved by each polygon used. A result that in static objects like these is much more optimal for Real Time 3D and online visualization.